Posted January 25, 2017 by Ian McArdell & filed under Books. Her story may be over on television, but Alex Kingston’s time travelling archaeologist continues to thrive on audio. While last year’s debut season saw her encounter the Eighth, and she has subsequently starred in his Doom Coalition saga, this second box set allows Ms Song to cross Doctors Six and Seven off her temporal bucket list. 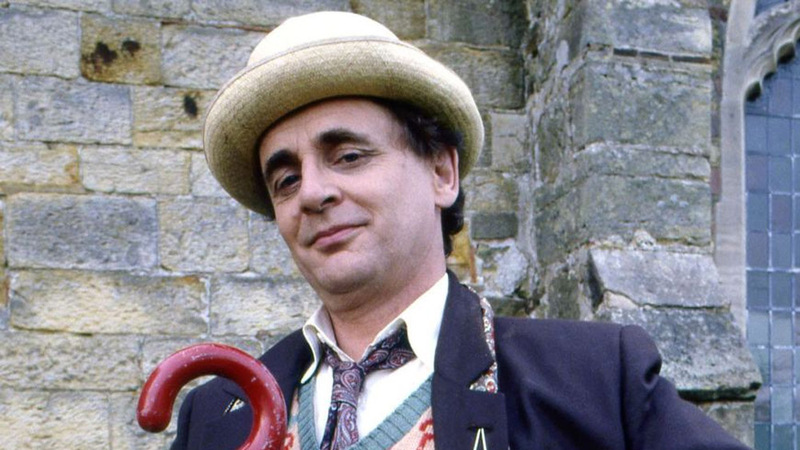 After a stirring Bond-style theme, we first hear River encounter the Seventh Doctor. Set on a spaceship, Guy Adams’ story, ‘The Unknown’, sees temporal instability rife and the pair struggle to keep a grip on who they are, let alone who they might be to each other. The tale develops with a smart scientific puzzle and also provides a pleasing echo of ‘Terminus’ as well as a few gentle digs at the expense of ST:TNG – thanks to an amusingly grumpy performance from the ship’s captain Anna Maxwell Martin (Death Comes to Pemberley). ‘Planetfall’ leads into John Dorney’s affecting ‘Five Twenty-Nine’, our quiet Doctorless highlight of the box set, in which River travels back in time to witness a planet-wide catastrophe and meets a small family of doomed islanders. There are strong performances throughout this thought-provoking episode, from Robert Pugh and Ann Bell, as well as Salome Haertel (Alex Kingston’s daughter), who plays their synthetic daughter Rachel. The final two parts, James Goss’s ‘World Enough and Time’ and Matt Fitton’s ‘The Eye of the Storm’ bring in the Sixth Doctor and introduce the villains of the piece as well as their ambitious plans, which brought to mind the multi-dimensional works of Douglas Adams to us. Undercover and seemingly out of his depth, the Sixth Doctor has bought control of a suspicious company called “Golden Dreams” and assumed the role of CEO, but his investigations are stymied by nonsensical management culture and an aggressively insistent PA, played beautifully by Sara Powell. River goes in as a temp and soon impresses, even complementing that coat, and Old Sixie is smitten – it was great to hear Colin Baker add a new dimension to his role as a love-struck Doctor. Eventually matters come to a head in 1703, where River battles to save the planet and obviate the efforts of noble Sixth and distrusting Seventh Doctors. 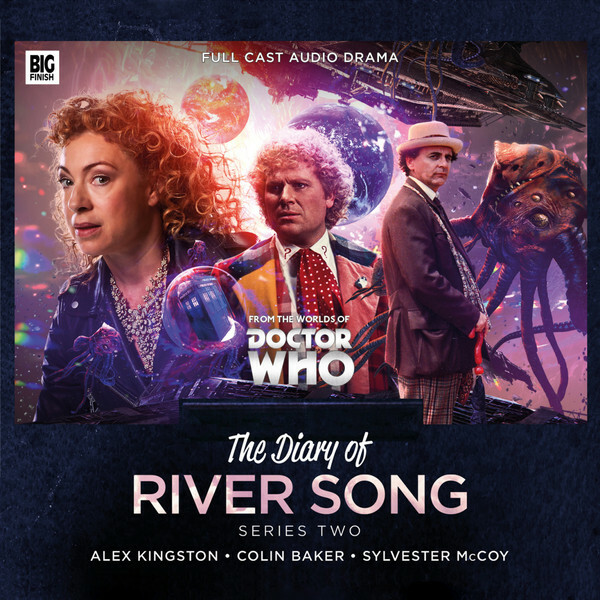 In a clever twist, she also meets the writer Daniel DeFoe and Matt Fitton cannot resist having River inspire one of the author’s most famous works (for which Alex Kingston is famous). Far more than just cameos, these stories fully utilise both Doctors and draw on their differences cleverly while still allowing Alex Kingston the chance to shine. While it is great fun hearing her interact with earlier incarnations we suppose the challenge comes in finding new ways to preserve the timeline, ensuring that he retains no memory of her. The scene with Sylvester McCoy devoted to this necessary plot point was priceless! However, doubtless the next step is to have River step out of her husband’s shadow. Perhaps she needs her own companion, or better still a team up with a certain handsome former Time Agent? That said, Alex Kingston paired with Tom Baker would surely be audio dynamite! Released in December 2016 by Big Finish.